As a part of a project for school I was required to make a timeline. 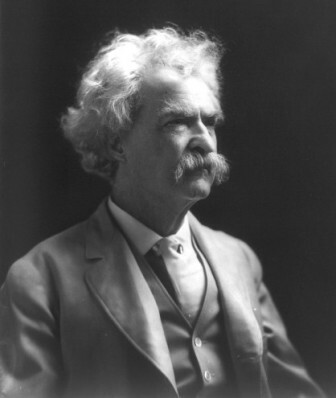 I figured that it would be a good idea to make this timeline about the dates in which several of American Literature’s most famous novels were published. One thing I noticed in this project was that I never realized exactly how new some of these books still are, especially when compared with famous stories like that of Shakespeare or the Classical Epics, like the Aeneid. I mean. 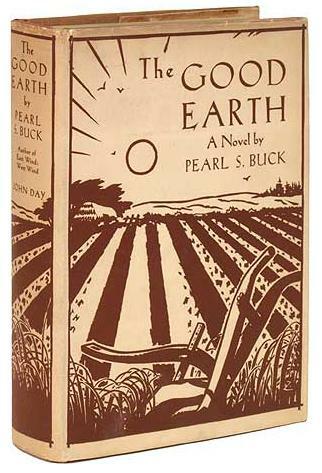 Huck Finn was barely written over a hundred years ago, and The Good Earth was only written in the midst of the Depression. It’s very interesting to see how far American Literature has evolved in so short a time as in 150 years. My Significant Other suggested this book to me while we were discussing the subject of “practical love” with a friend of ours. I mentioned how odd it is when in many cases people’s’ grandparents often didn’t marry for love, but because a person could give them the best chance of survivability in the real world. This is in contrast to today’s world where people can truly marry out of love rather than survivability. To simplify, let’s explore the following situation: You have two people in your life you can marry. The first candidate is rather beautiful and you’re truly in love with them. The catch is that the person is rather unskilled so while you’ll be married to the person you love they may not be able to adequately provide for you and your future children. The second choice is someone you may not be fully in love with, but they can provide for you and you’re future family. Who would you chose? The Good Earth tells the story of a young Chinese peasant, Wang Lung and his arranged wife, a former slave from a great house named O-Lan. It goes on to describe their life together as their fortunes go up and down from destitute poverty and famine to extreme luxury. Throughout the story various aspects of Chinese Culture Pre-World War Two is described in beautiful detail. Wang Lung is the main hero of the story and his character is a testament to an almost Ayn Randian vision of hard work and success. Throughout the story he is constantly striving to better the fortunes of himself and his family through perseverance and hard work. At some points famine and hardship severely hamper his fortunes, but again through perseverance he overcomes these hardships to become a wonderfully rich man. Despite all this at times he loses focus on his family which later comes back to hurt him. O-Lan is his quiet wife. She is a former slave and it is mentioned how rather average she is when it comes to looks. Despite all this she is an immensely strong character who endures any hardship with barely a word. At one point in the novel she gives birth by herself and later in the day is back in the rice paddies harvesting the crop. She also is reminiscent of an Ayn Rand character in that she is the strong female helping to support the hero with little to no attention to her own needs. She was hands down my favorite character as she seemed to be one of the strongest female characters I have ever encountered in a story. She did this all with barely speaking a full sentence in the entire story!. The story is absolutely breathtaking in its scope. The writing is beautiful. The story is written so simply, no large or complicated words are used, this fits with the story of poor uneducated peasants. The authors description of the home village of the charachters in the Anhui Province of China as well as the description of the people who inhabit it and who come into contact with the main characters show a startling realism rarely encountered in most stories. One of my favorite aspects of the story was the authors description of the various Chinese Traditions that are performed throughout the story. Her descriptions of the traditions are simple, but while keeping the simplicity she manages to explain the purpose of the tradition without losing the gentle flow of the tradition’s place in the story. All these aspects as well as many, many others come together to create a beautiful tapestry that actually brought tears to my eyes at times.